Many of you are looking for a high efficiency heat pump that will get you the federal energy tax credit this year but won’t blow that credit in higher equipment costs. Meet the Dave Lennox Elite Series XP14 Heat Pump. It’s a mid-grade heat pump – which by Lennox standards means it offers outstanding quality. The initial cost is lower than top of the line units and you will still get the tax credit and possibly credits and rebates from your utility company. Here’s a Dave Lennox Elite Series XP14 Heat Pump price sent to us by Tommie in Laramie, WY. “It can get really hot here from April through October, so having a high efficiency cooling system is essential. In the winter, we generally heat our home, which has a very open layout, with a radiating corn-burning stove. But there are times in the transitional periods when you want some heat but don’t want to fire up the corn/wood/wood pellet stove, and that makes the heat pump the PERFECT answer. Out here, that’s a scenario that is very common, so when I found your site I knew I had to write in and give our HVAC prices plus put in a plug for a heat pump. About 15 months ago I built this 2,100 square foot home after living for 8 years in a 900 square foot home cooled by one window unit. Knowing that kind of setup wasn’t going to cut it, I called a couple of heating and cooling companies to give me heat pump prices. My research showed that Lennox offered the balance of cost and quality I was looking for so I chose the Lennox Elite Series XP14. Here’s what I paid then, but I called the company before sending this and they told me prices today are basically the same, if not a bit lower due to the economy. Up to 16 SEER for cooling, up to 9.5 HSPF for heating – tax credit available for this Energy Star unit. Dual-fuel compatible so I can add a gas furnace if I get tired of dealing with the corn burner. Scroll compressor is quiet – 71 db operation. R-410 refrigerant for less environmental impact. Sturdy steel cabinet with SmartHinge louver design protects components and offers easy access for maintenance and repair. 10-year warranty on the compressor; 5-year warranty on parts. Tommie points out a great way to use the Lennox XP14, one that millions of those who use alternative fuels can relate to. No matter how you employ your heat pump, be sure to have it installed by a professional. Using a qualified contractor will ensure that the warranty protection is in place and that you are getting the most efficient heating and cooling that the unit is capable of producing. 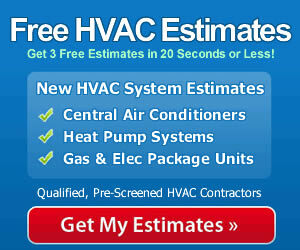 Faulty installation is the primary cause of HVAC systems underperforming and breaking down. Trying to save on installation by doing it yourself or having the local, untrained handy man do it may prove very costly in the end.